This month take advantage of huge savings on the parts you need for your next adventure. 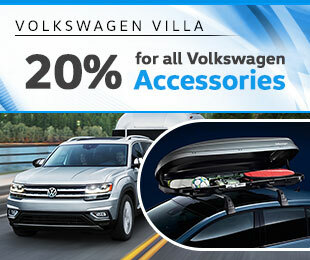 20% off all Volkswagen Accessories. 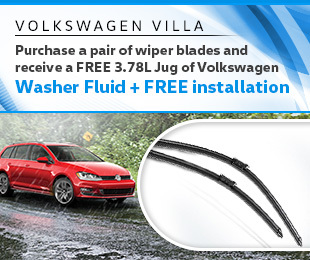 Purchase a pair of wiper blades at Volkswagen Villa and receive a FREE 3.78L Jug of Volkswagen washer fluid and receive FREE installation! 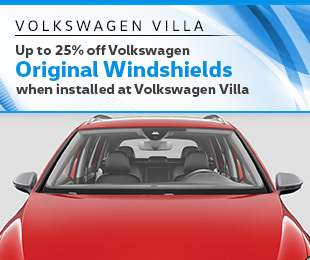 Take advantage of up to 25% off Original Volkswagen windshields when installed at Volkswagen Villa. Seasons change, and so should your tires. At Volkswagen Villa we will match or beat any competitor’s lowest price on tires.